The first thing that we need to realize about the second son described in the Haggada, the Rasha, is that he is here at the table. This is not the fifth son who, the Rebbe taught us, does not even know it’s Pesach, nor is it the son who has gone so far that he does not return. He is here, and he has a question. As educators it is urgent that we answer him, just so that he stays. What is this child’s question? “Mah ha’avoda hazos lachem – What is this service to you?” The emphasis is on “lachem v’lo lo” – excluding himself from the avoda. This child is disconnected. In his way, he is desperately asking us to reach out and show him that he belongs. Much of a child’s misbehavior can stems from a feeling of disconnect. A number of factors can cause this: he is lacking something in his essential relationships at home, she has a learning difference that repeatedly makes her feel different and not on par with her peers; or social challenges push the child into a metaphorical corner where he feels trapped and alone. On a more subtle and sophisticated level, a child can also feel disconnected from Torah and from Yiddishkeit, but this is most often caused or exacerbated by a disconnect from the home or community. Several years ago, a gathering was held for teachers of all Crown Heights girls’ high schools, focusing on the theme of connection. Two prongs of this theme were explored: connecting to our students, and connecting our students to the learning. Connecting to students and building personal relationships is the prerequisite to all other instruction. This includes identifying any special challenges and supporting students in addressing them. However, in a more general sense, this means simply that a teacher takes interest in his or her students as people. A teacher who values connection does simple things to make students feel cared for. He or she smiles and greets students warmly both inside and outside the classroom. Several standout teachers of large classes have told me that they will not give up taking attendance even if they are short on time, because it is their chance to make sure that every child is called by name and gets a personal greeting at least once during the class period. The teacher notices and compliments small things such as a new watch or braces, and remembers to ask about a family trip or a new sibling. Many schools have systems in place wherein every student is looked after in a personal way by a specific teacher – whether through rotation, with teachers reaching out to different students each month; through schools matching teachers to students based on personality and other factors; or through students choosing which teacher they would like to spend extra time with. (To find out more about systems like these and how to put them into place, please contact us.) Teachers may feel that they connect to their students automatically and that this comes naturally to them. In truth, however, the ingredients for connection have to be put into place intentionally, because otherwise there are always a few students who are inadvertently left out. When teachers ensure that they are connecting to their students on a personal level, students can feel that their classroom is a welcoming home. They feel that they belong, and then the learning can begin. However, if we want our students to not only feel connected to us but also to feel deeply connected to Yiddishkeit, then the teaching as well needs a deeper dimension. In everything we teach, we need to give our students an element of, “How does this apply to me?” “How can I find a personal connection to what I am learning?” This is not a self-centered approach to learning, this is the approach of Chassidus – and this is what the second son of the Haggada actually craves! We learn on the Posuk “Zos hatorah, adam…” that this is the Torah – man and his inner avoda. Every lesson and Halacha, Chassidus teaches us, is reflected in our inner world and must help us grow. In Hayom Yom (14 Menachem Av), the Rebbe teaches us – quoting the Rebbe Rashab and Alter Rebbe – that everything a person learns must be experienced emotionally. The personal, subjective, experience of Torah is what makes it stick and permeate our whole being. All too often, students enjoy Limudei Chol more than they do their morning subjects. This is typically because they are not connecting. They might be listening to or receiving the content in their Torah subjects, whereas in the afternoon they are more likely to be writing, thinking, expressing, discussing, and otherwise engaged. It is especially the creative students who could therefore feel alienated in Limudei Kodesh. However, by truly tapping the approach of Chassidus and using a variety of creative teaching methods, we can help such students feel plugged in and connected to the words of the Siddur, Chumash and Gemara. These two areas – connecting to the student, and connecting the student to Torah – are the first steps in making the child who craves connection feel more at home. There is much, much more that needs to be done in this area, particularly when a child faces significant family, emotional, mental health or general health challenges. However, when we set out on these initial steps toward connection, we ensure that we are facing the right direction in Chinuch. We “blunt his teeth”, which could be interpreted as a harsh rebuke but can also be understood as blunting the argument, and eliminating the confrontation entirely. We establish that this is not a conversation about whether or not he belongs at the Seder table, but rather a different conversation, one that focuses on how we can help him feel more comfortable there and appreciate all that it represents. We undermine the argument and proceed to talk about Yetzias Mitzrayim, using identical words, in fact, to those we use to answer the She’aino Yodeia Lish’ol, the fourth son. There are shiv’im panim laTorah, and of course the question and answer of the Rasha – and even the term we refer to him with – can be understood on many levels. However, in terms of practical application, it is clear that for our students today we need to lean toward the positive interpretation. On many occasions, the Rebbe clarified that whereas in the past a harsh approach to education may have worked – using strong words and even corporal punishment to try to motivate a Talmid – for this generation, such an approach would not only be unsuccessful, but would actually have the opposite effect. This does not negate the need for limits and boundaries for appropriate behavior. Gemara teaches us, “Yemin mekareves usmol doche” – use your right hand to draw near with love and warmth, and your left hand to push away with discipline and severity. This combination is necessary, as many young and enthusiastic teachers have experienced in their first months or years of teaching. However, the Rebbe emphasizes that we use our dominant hand, the right hand, for kindness, and our weaker hand for discipline. The rules are in place to support the process of education, but it is the love and kindness that actually reach the child. Our students are, first and foremost, neshamos. What Chassidus does for us, and what we must do for our students, is hold up the mirror that shows them who they really are. Our primary response to the Rasha is that deep down he is so much more, and we are determined to help him uncover it. The Rasha is the second son listed, placed right after the Chacham, because with his thirst for connection he has tremendous potential to reach great heights. He is also placed ahead of the remaining two sons because he has much to give to them. The most powerful statement we can make to this child of his worth and potential is made by empowering him to teach. By having a positive impact on others, he can begin to discover that he really does belong. 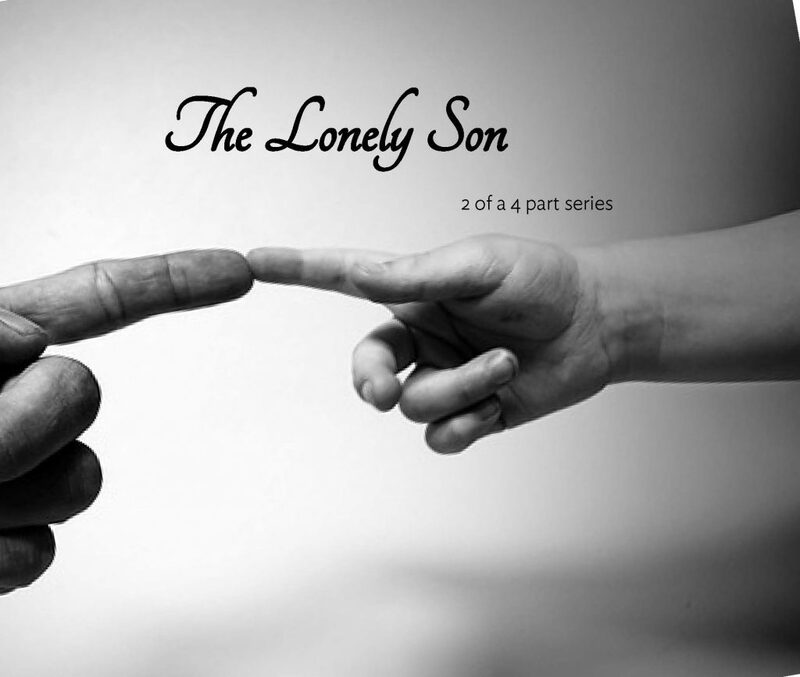 The “wicked son” is really the lonely son, however belligerently he expresses it. It is our job to see through his misrepresentation of himself to his real question – his plea for connection. It is our job to help this child feel more at home – within himself, within his community, and within Yiddishkeit. See also Hayom Yom 11 Adar Sheini. For one of many examples, see Igros Kodesh Vol. 13 Letter 4276. This echos the instructions of the Frierdiker Rebbe to the staff of Tomchei Temimim to desist from corporal punishment, as well as instructions in Klalei Chinuch V’hadracha that teachers speak calmly and refrain from shouting and using strong language. Torah Menachem 5750, Chelek Gimmel, page 194. See Hisvaaduyos 5743, page 318. I read once,but I feel I need to go over more than once, including looking into the footnotes.b”h I have a son that in early age went to one of our schools out of the state, because of several reasons.in the age of 15 came back extremely hurt & engry as a results of hursh attitude from certain teacher & disappointment from his parents who took the teacher’s side .we are now ten years after this episode w no fully success to connect to him or connect him back to yedishkait. If anyone can help w any insight like this page ,or in any other way,I will appreciate that offer.this artical gave me support & some comfort .also it strengthened my hands w the approach we choosed to go, about his disconnection.